The world’s first ever robotic plant went on display in the gardens of Chatsworth House, just outside Sheffield, this Bank Holiday weekend. 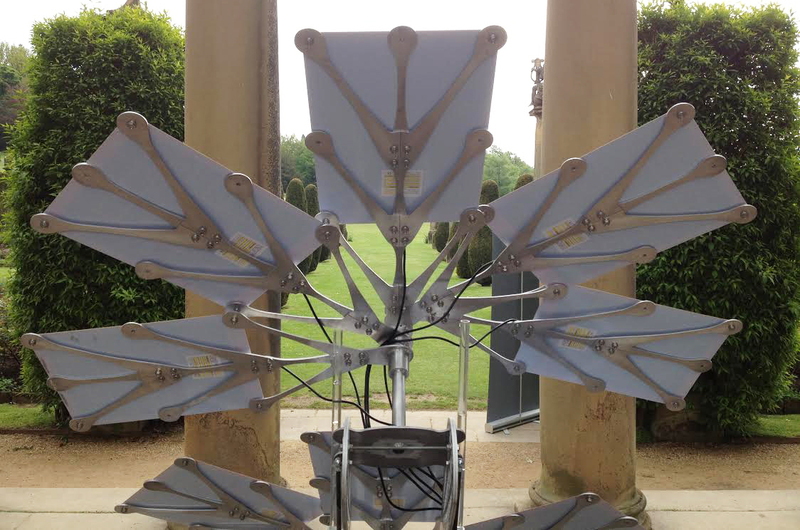 RoboPlant was designed by scientists at the University of Sheffield to demonstrate the fundamental steps of photosynthesis. 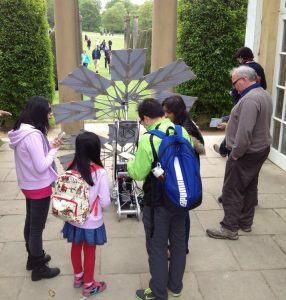 Professor Colin Osborne, Associate Director of the Grantham Centre, took a group of volunteers to set up RoboPlant at Chatsworth on Saturday (23 May). 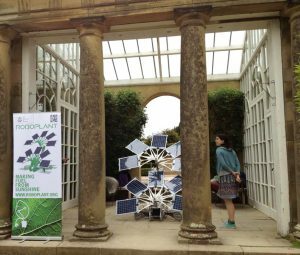 The team spent the weekend introducing RoboPlant to visitors, and discussing the importance of harnessing the sun’s energy to create a sustainable future. 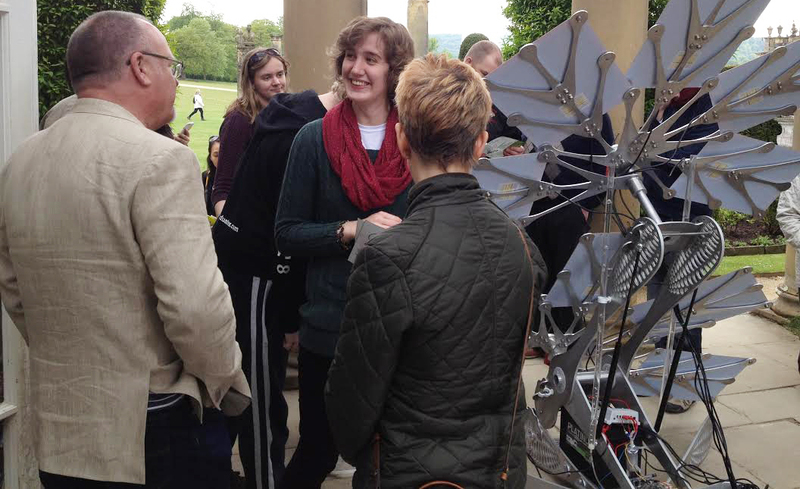 RoboPlant is a human-sized robot that mimics photosynthesis in plants. It’s ‘leaves’ are made of photovoltaic panels which absorb light and convert it into electricity. The electricity is used to power an electrolyser which splits water into hydrogen and oxygen, as plants do as part of photosynthesis. The next stage of photosynthesis – the fixation of carbon dioxide to stored sugars – can currently only be achieved by real plants, so cannot be shown by RoboPlant. However, if humans could replicate this, our food and fuel shortages would be resolved.